Beautiful 4 bedroom, 3 bath wonderfully maintained home located in Abbington Ridge! Bright and Beautiful freshly painted spacious home on a quiet corner lot. Beautiful kitchen with new countertops, kitchen cabinets and new SS appliances. Large family room with gas fireplace. Home has new carpet. Very spacious master bedroom with soaking tub, sep shower, walk in closet and double sinks. Full In law/Guest suite downstairs. Professional pictures coming soon. Directions:Follow I-40 E to Rock Quarry Rd in Raleigh. Take exit 300 from I-40 E. Take exit 300 toward Rock Quarry Rd. Turn right onto Rock Quarry Rd. Turn right onto Laurel Glen Dr. Then turn slight right to Flat Fern Drive. Home will be on the right. SchoolsClick map icons below to view information for schools near 5816 Flat Fern Drive Raleigh, NC 27610. Home for sale at 5816 Flat Fern Drive Raleigh, NC 27610. Description: The home at 5816 Flat Fern Drive Raleigh, NC 27610 with the MLS Number 2236464 is currently listed at $199,900 and has been on the Raleigh market for 67 days. 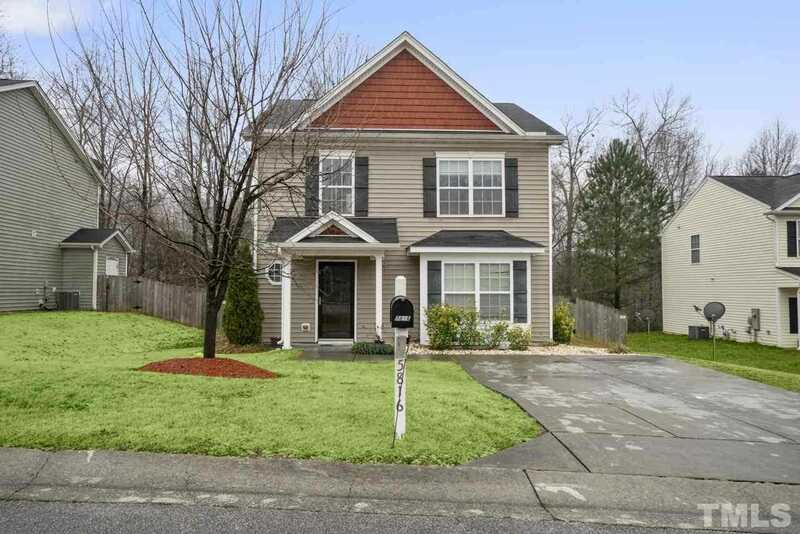 You are viewing the MLS property details of the home for sale at 5816 Flat Fern Drive Raleigh, NC 27610, which is located in the Abbington Ridge subdivision, includes 4 bedrooms and 3 bathrooms, and has approximately 1741 sq.ft. of living area.